Every day somewhere across America cancer strikes one of us, our families, friends, or neighbors. It’s a devastating disease in which abnormal cells divide uncontrollably and destroy body tissues. 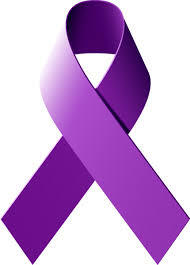 Cancer comes in many forms such as skin, lung, pancreatic, prostate, breast, brain, even our bones and blood (leukemia). Receiving a cancer diagnosis can be traumatic. So it’s vitally important to become informed and to take steps to get in control of whatever circumstance it brings. There’s no telling who might be the target of cancer; a child, a parent, a sibling, maybe you. Not everyone is as vigilant as possible checking themselves, watching for clues how we feel, a sudden loss of energy, or weight. Once diagnosed, the result can show the cancer to be either at an early stage or an advanced stage. The National Cancer Institute recently released several new ePubs you can download for FREE, that feature very specific information and help for those faced with cancer. These very informative publications are available from the U.S Government Online Bookstore. Take a look at just a few of the titles, then go to https://bookstore.gpo.gov to learn about the entire series to find those that fit your personal circumstance. When Someone You Love is Being Treated for Cancer is a booklet for friends or family members giving care to a person with cancer. This booklet covers understanding the changes that come in your life with caregiving, how to cope with your feelings and ask for help, tips on caring for both your physical and emotional self, how to talk with your kids about cancer, communicating with your loved one who has cancer, and dealing with other family members and friends. If your child has cancer, this comprehensive guide can help you learn how childhood cancers are diagnosed and treated, as well as how to manage common health problems during treatment. It shares coping and support strategies for every member of your family. Developed by a multidisciplinary a team of experts from across the National Cancer Institute, and parents who have a child with cancer, this guide was designed as a companion for every family that has a child with cancer. When Someone You Love Has Advanced Cancer is a booklet for friends and family members taking care of a person with advanced cancer. This booklet covers making new decisions about care, how to discuss issues and changes with the health care team, getting support and asking for help, life planning and advance directives, talking with family and friends, talking with children and teens about advanced cancer, communicating with your loved one who has cancer, and tips on caring for both your physical and emotional self. Life After Cancer Treatment: Facing Forward is a booklet for people who have completed cancer treatment. This booklet covers your new normal, getting follow-up medical care and how to talk with your doctor, following a survivorship care plan, ways to manage physical changes, body changes and intimacy issues, coping with your feelings, and going back to work. Our nation faces a crisis of overdose deaths from opioids, including heroin, illicit fentanyl, and prescription opioids. These deaths represent a mere fraction of the total number of Americans harmed by opioid misuse and addiction. Many Americans now suffer daily from a chronic medical illness called “opioid addiction” or OUD. Healthcare professionals, treatment providers, and policymakers have taken on the responsibility to expand access to evidence-based, effective care for people with OUD. The New York Times reported in 2017 “the current opioid epidemic is the deadliest drug crisis in American history. Overdoses, fueled by opioids, are the leading cause of death for Americans under 50 years old — killing roughly 64,000 people last year, more than guns or car accidents, and doing so at a pace faster than the HIV epidemic did at its peak”. The Treatment Improvement Protocol (TIP) series fulfills The Substance Abuse and Mental Health Services Administration (SAMHSA) mission by providing science based best-practice guidance to the behavioral health field. TIPs reflect careful consideration of all relevant clinical and health service research, demonstrated experience, and implementation requirements. If you, family members or friends have been directly impacted by opioid use, check out the SAMHSA publication Treatment Improvement Protocol (TIP) 63: Medications for Opioid Use Disorder from the GPO Bookstore. This publication can provide you with a comprehensive understanding of opioid use and its effect on human life. Increasing opioid overdose deaths, illicit opioid use, and prescription opioid misuse constitute a public health crisis. OUD medications reduce illicit opioid use, retain people in treatment, and reduce risk of opioid overdose death better than treatment with placebo or no medication. Only physicians, nurse practitioners, and physician assistants can prescribe buprenorphine for OUD. They must get a federal waiver to do so. Only federally certified, accredited OTPs can dispense methadone to treat OUD. OTPs can administer and dispense buprenorphine without a federal waiver. Treatment Improvement Protocol (TIP) 63: Medications for Opioid Use Disorder is now available as a FREE eBook download from the U.S. Government Bookstore here. This eBook is also available as a FREE download through Apple iTunes, Barnes and Noble Nook eBookstore, Google Play, EBSCOhost database, Overdrive, and ProQuest platforms. Please use ISBN: 9780160943751 to search for this ePub product format within these platforms. PDF format also available through Overdrive, ProQuest, EBSCO, and Academic Pub – please use ISBN: 9780160943775 for the PDF Format through these channels. Lastly, an XML format is available through Rittenhouse R2 Digital Library. Please search their platform with ISBN: 9780160943782. Every American with a family member, friend, or associate dealing with a personal opioid disorder knows the opioid crisis is real and often personally devastating. For those who have not yet had to deal directly with this crisis, the statistics are compelling enough to deserve everyone’s attention and desire to become more educated on the effect opioids can have on a person’s health. It is wise to be prepared to take action if you or someone you know are faced with this crisis firsthand. The Medication-Assisted Treatment of Opioid Use Disorder: Pocket Guide was created by the Department of Health and Human Services (HHS) Substance Abuse & Mental Health Services Administration (SAMHSA) to inform and prepare physicians using medication-assisted treatment for patients with opioid use disorder. It discusses various types of approved medications, screening and assessment tools, and best practices for patient care. Though primarily produced for the medical community, this pocket guide provides critical information to anyone looking to assist a person in need. This publication is available on the U.S. Government Online Bookstore at https://bookstore.gpo.gov/. With the start of a new year, there’s no better time than now to reset your body and spirit by not just thinking about fitness but acting on your best instincts. Turn on the TV and you’ll see many fancy dieting regimens, expensive cycling systems and “fool proof” ways to trim down (guaranteed of course!) If it was only so easy! Or, take a moment, go online to the Government Publishing Office’s web site at https://bookstore.gpo.gov/ and check out an amazing variety of dietary guidelines and exercise guides produced by the Department of Health and Human Services and by the Department of Agriculture for your kids, family– all the way to the over 55 set. The best part is most of the materials are free in various eBook formats. A great example is the Exercise and Physical Activity eBook. A FREE guide to how you can age well through simple exercises and good eating habits. You can download in minutes here and be ready to take control the very same day or night. Scan the many publications your federal government has designed for you to get started and stay engaged in better health practices. You’ll be pleasantly surprised there’s a publication to fit the needs of everyone in your family -You included! Don’t wait. How can I obtain health resources from the Federal government? The Federal government has a variety of mental health resources for people who suffer with some form of mental illness. Mental illnesses such as depression and schizophrenia as well as other mental illnesses can adversely affect the way a person thinks, feels, or acts. To help individuals suffering with depression or schizophrenia, the U.S. Department of Health & Human Services (HHS), National Institute of Mental Health recently released two new eBooks covering these important mental health topics. If you have a loved one you think is suffering with depression, this comprehensive eBook provides helpful information on the signs and symptoms of depression. It methodically discusses what factors play a role in depression, as well as the types of depression and how it affects people in different ways. It also discusses treatment and support options, and a listing of additional resources for more help. Schizophrenia is described as a “chronic and severe” illness. And like depression, it affects the way a person feels, thinks and acts. This eBook describes the condition of schizophrenia and the symptoms associated with the mental disorder. Other topics include causes of schizophrenia and treatment options for individuals seeking help for a loved one. Dealing with mental health problems can be challenging, however, these eBooks from the National Institute of Mental Health offer individuals and families much needed help in coping with mental disorders. How can I obtain these FREE mental health resources? About the author: Blogger contributor Trudy Hawkins is the Sr. Marketing and Promotions Specialist in GPO’s Publication and Information Sales program office. November is National Diabetes Month, a spotlight on a disease that affects tens of millions of Americans. Approximately 1 out of every 11 Americans lives with diabetes. It’s one of the leading causes of disability and death in the United States. And it has rung up enormous health and financial costs over past decades. Diabetes impacts everyone and it can affect anyone. U.S. Government agencies are working hard to slow the growing epidemic of diabetes and pre-diabetes. GPO makes available two Government resources designed to educate different segments of the population about diabetes management and prevention. This Department of Health and Human Services (HHS) Native Diabetes Wellness Program young adult picture book discusses diabetes and wellness in American Indian/Alaska Native communities. Tender vignettes and sweeping illustrations serve as a diabetes teaching tool for young readers. Animal and human residents of a small reservation town weave tales that combine tribal wisdom with health promotion tips. The message: eating healthy traditional foods and being active can help people with type 1 or type 2 diabetes. A lot of native youth and tribal leaders contributed to this important work—and it shows. The world population is aging. Persons 65 years or older are expected to grow to be 21.7% of the U.S. population by 2040. This U.S. Census Bureau report examines a range of health trends among this growing population, including the alarming prevalence of diabetes. It devotes an entire chapter to diabetes, a health risk among older people that has as much to do with lifestyle as it does with genetics. To learn more about this year’s National Diabetes Month, visit NIH’s National Diabetes Education Program website. About the author: Blogger contributor Chelsea Milko is a Public Relations Specialist in GPO’s Public Relations Office. Father’s Day is upon us. And who knows better than Mom and the kids when Dad is in the mood for family fun? It’s a good bet that if he’s eating right, getting the exercise and the rest busy guys need (though most Americans don’t), then there’s a good chance the household is a great place to be. This year, when you celebrate Father’s Day, think about how you can do Dad one better by giving him the methods and information to support his present health regime; or if he hasn’t been all that vigilant, can jump start his journey to health and wellness. Sometime it takes the encouragement of a loved one for a strong-willed man to change directions from unhealthy to healthy. Sound familiar? At last count there are over 100 publications listed at bookstore.gpo.gov that can positively impact a man’s health and that of his family too. “Work-Out to Go”, from the National Institute on Aging, for older men can help Dads get back into a work-out routine– often after a lengthy break. It explains how to overcome a sense of “too much work doesn’t allow me time for exercise.” Don’t let anything get in your way or his from maintaining an exercise regimen. Exercise and Physical Activity is an e-book, and it’s free. This easy read shows how to get started, plus how to make an exercise plan, plus many more tips for getting healthy. The Veteran’s Administration also has many publications defining health benefits and care benefits for Vets. Check out Health Care Benefits Overview, GPO Stock # 051-000-00256-3, strictly to support Vets in securing their health care needs. 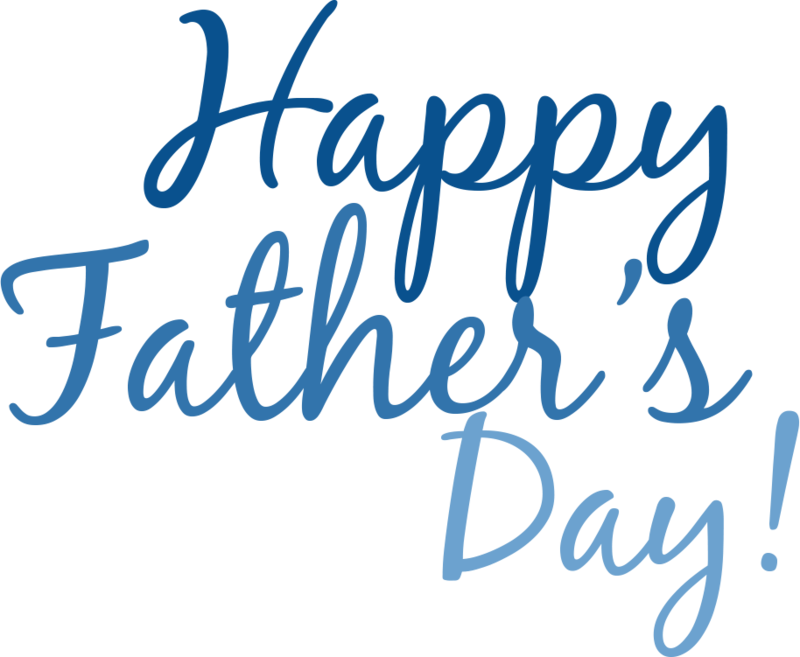 Whether YOUR DAD is Young, Old, A Vet, in great shape, or not so, Father’s Day can be the day to urge him to be the man he always has been inside, just a healthier one inside and outside too. You are currently browsing the archives for the NIH category.